Napoleon Bonaparte (1769-1821), also known as Napoleon I, was a French military leader and emperor who conquered much of Europe in the early 19th century. Born on the island of Corsica, Napoleon rapidly rose through the ranks of the military during the French Revolution (1789-1799). After seizing political power in France in a 1799 coup d’état, he crowned himself emperor in 1804. 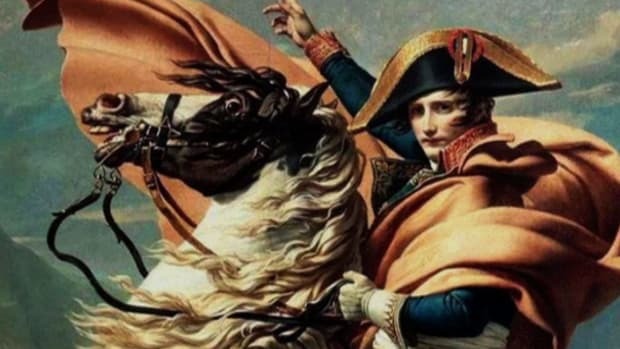 Shrewd, ambitious and a skilled military strategist, Napoleon successfully waged war against various coalitions of European nations and expanded his empire. 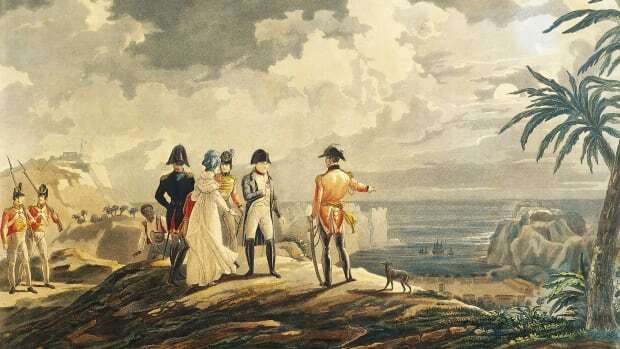 However, after a disastrous French invasion of Russia in 1812, Napoleon abdicated the throne two years later and was exiled to the island of Elba. In 1815, he briefly returned to power in his Hundred Days campaign. After a crushing defeat at the Battle of Waterloo, he abdicated once again and was exiled to the remote island of Saint Helena, where he died at 51. Napoleon Bonaparte was born on August 15, 1769, in Ajaccio, on the Mediterranean island of Corsica. He was the second of eight surviving children born to Carlo Buonaparte (1746-1785), a lawyer, and Letizia Romalino Buonaparte (1750-1836). Although his parents were members of the minor Corsican nobility, the family was not wealthy. The year before Napoleon’s birth, France acquired Corsica from the city-state of Genoa, Italy. Napoleon later adopted a French spelling of his last name. Did you know? In 1799, during Napoleon’s military campaign in Egypt, a French soldier named Pierre Francois Bouchard (1772-1832) discovered the Rosetta Stone. This artifact provided the key to cracking the code of Egyptian hieroglyphics, a written language that had been dead for almost 2,000 years. As a boy, Napoleon attended school in mainland France, where he learned the French language, and went on to graduate from a French military academy in 1785. He then became a second lieutenant in an artillery regiment of the French army. The French Revolution began in 1789, and within three years revolutionaries had overthrown the monarchy and proclaimed a French republic. During the early years of the revolution, Napoleon was largely on leave from the military and home in Corsica, where he became affiliated with the Jacobins, a pro-democracy political group. In 1793, following a clash with the nationalist Corsican governor, Pasquale Paoli (1725-1807), the Bonaparte family fled their native island for mainland France, where Napoleon returned to military duty. In France, Napoleon became associated with Augustin Robespierre (1763-1794), the brother of revolutionary leader Maximilien Robespierre (1758-1794), a Jacobin who was a key force behind the Reign of Terror (1793-1794), a period of violence against enemies of the revolution. During this time, Napoleon was promoted to the rank of brigadier general in the army. However, after Robespierre fell from power and was guillotined (along with Augustin) in July 1794, Napoleon was briefly put under house arrest for his ties to the brothers. In 1795, Napoleon helped suppress a royalist insurrection against the revolutionary government in Paris and was promoted to major general. Since 1792, France’s revolutionary government had been engaged in military conflicts with various European nations. In 1796, Napoleon commanded a French army that defeated the larger armies of Austria, one of his country’s primary rivals, in a series of battles in Italy. In 1797, France and Austria signed the Treaty of Campo Formio, resulting in territorial gains for the French. The following year, the Directory, the five-person group that had governed France since 1795, offered to let Napoleon lead an invasion of England. Napoleon determined that France’s naval forces were not yet ready to go up against the superior British Royal Navy. Instead, he proposed an invasion of Egypt in an effort to wipe out British trade routes with India. Napoleon’s troops scored a victory against Egypt’s military rulers, the Mamluks, at the Battle of the Pyramids in July 1798; soon, however, his forces were stranded after his naval fleet was nearly decimated by the British at the Battle of the Nile in August 1798. In early 1799, Napoleon’s army launched an invasion of Ottoman Empire-ruled Syria, which ended with the failed siege of Acre, located in modern-day Israel. That summer, with the political situation in France marked by uncertainty, the ever-ambitious and cunning Napoleon opted to abandon his army in Egypt and return to France. In November 1799, in an event known as the coup of 18 Brumaire, Napoleon was part of a group that successfully overthrew the French Directory. The Directory was replaced with a three-member Consulate, and Napoleon became first consul, making him France’s leading political figure. In June 1800, at the Battle of Marengo, Napoleon’s forces defeated one of France’s perennial enemies, the Austrians, and drove them out of Italy. The victory helped cement Napoleon’s power as first consul. Additionally, with the Treaty of Amiens in 1802, the war-weary British agreed to peace with the French (although the peace would only last for a year). Napoleon worked to restore stability to post-revolutionary France. He centralized the government; instituted reforms in such areas as banking and education; supported science and the arts; and sought to improve relations between his regime and the pope (who represented France’s main religion, Catholicism), which had suffered during the revolution. One of his most significant accomplishments was the Napoleonic Code, which streamlined the French legal system and continues to form the foundation of French civil law to this day. In 1802, a constitutional amendment made Napoleon first consul for life. Two years later, in 1804, he crowned himself emperor of France in a lavish ceremony at the Cathedral of Notre Dame in Paris. In 1796, Napoleon married Josephine de Beauharnais (1763-1814), a stylish widow six years his senior who had two teenage children. 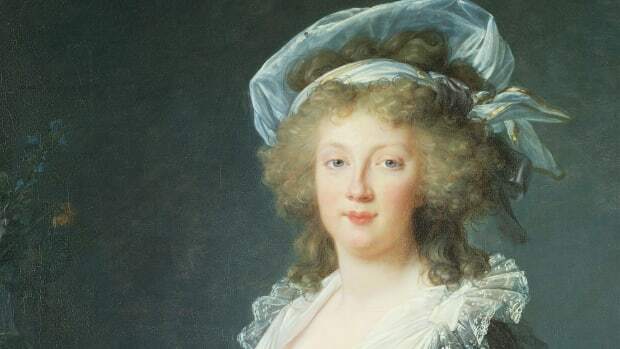 More than a decade later, in 1809, after Napoleon had no offspring of his own with Josephine, he had their marriage annulled so he could find a new wife and produce an heir. In 1810, he wed Marie Louise (1791-1847), the daughter of the emperor of Austria. The following year, she gave birth to their son, Napoleon François Joseph Charles Bonaparte (1811-1832), who became known as Napoleon II and was given the title king of Rome. In addition to his son with Marie Louise, Napoleon had several illegitimate children. From 1803 to 1815, France was engaged in the Napoleonic Wars, a series of major conflicts with various coalitions of European nations. In 1803, partly as a means to raise funds for future wars, Napoleon sold France’s Louisiana Territory in North America to the newly independent United States for $15 million, a transaction that later became known as the Louisiana Purchase. In October 1805, the British wiped out Napoleon’s fleet at the Battle of Trafalgar. However, in December of that same year, Napoleon achieved what is considered to be one of his greatest victories at the Battle of Austerlitz, in which his army defeated the Austrians and Russians. The victory resulted in the dissolution of the Holy Roman Empire and the creation of the Confederation of the Rhine. Beginning in 1806, Napoleon sought to wage large-scale economic warfare against Britain with the establishment of the so-called Continental System of European port blockades against British trade. In 1807, following Napoleon’s defeat of the Russians at Friedland in Prussia, Alexander I (1777-1825) was forced to sign a peace settlement, the Treaty of Tilsit. In 1809, the French defeated the Austrians at the Battle of Wagram, resulting in further gains for Napoleon. During these years, Napoleon reestablished a French aristocracy (eliminated in the French Revolution) and began handing out titles of nobility to his loyal friends and family as his empire continued to expand across much of western and central continental Europe. In 1810, Russia withdrew from the Continental System. In retaliation, Napoleon led a massive army into Russia in the summer of 1812. Rather than engaging the French in a full-scale battle, the Russians adopted a strategy of retreating whenever Napoleon’s forces attempted to attack. As a result, Napoleon’s troops trekked deeper into Russia despite being ill-prepared for an extended campaign. In September, both sides suffered heavy casualties in the indecisive Battle of Borodino. 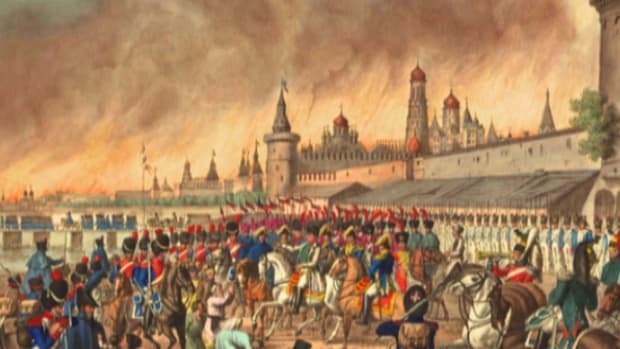 Napoleon’s forces marched on to Moscow, only to discover almost the entire population evacuated. Retreating Russians set fires across the city in an effort to deprive enemy troops of supplies. After waiting a month for a surrender that never came, Napoleon, faced with the onset of the Russian winter, was forced to order his starving, exhausted army out of Moscow. During the disastrous retreat, his army suffered continual harassment from a suddenly aggressive and merciless Russian army. Of Napoleon’s 600,000 troops who began the campaign, only an estimated 100,000 made it out of Russia. On April 6, 1814, Napoleon, then in his mid-40s, was forced to abdicate the throne. With the Treaty of Fontainebleau, he was exiled to Elba, a Mediterranean island off the coast of Italy. He was given sovereignty over the small island, while his wife and son went to Austria. On February 26, 1815, after less than a year in exile, Napoleon escaped Elba and sailed to the French mainland with a group of more than 1,000 supporters. On March 20, he returned to Paris, where he was welcomed by cheering crowds. The new king, Louis XVIII (1755-1824), fled, and Napoleon began what came to be known as his Hundred Days campaign. Upon Napoleon’s return to France, a coalition of allies–the Austrians, British, Prussians and Russians–who considered the French emperor an enemy began to prepare for war. Napoleon raised a new army and planned to strike preemptively, defeating the allied forces one by one before they could launch a united attack against him. 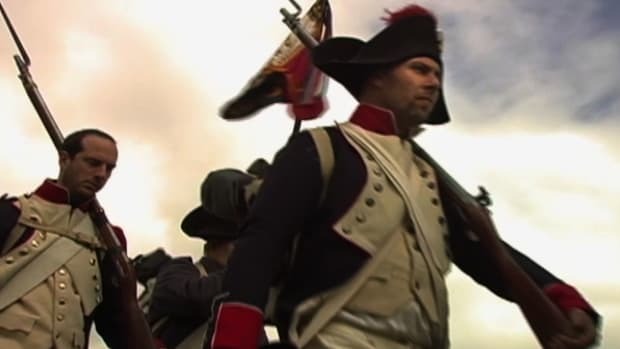 In June 1815, his forces invaded Belgium, where British and Prussian troops were stationed. On June 16, Napoleon’s troops defeated the Prussians at the Battle of Ligny. However, two days later, on June 18, at the Battle of Waterloo near Brussels, the French were crushed by the British, with assistance from the Prussians. On June 22, 1815, Napoleon was once again forced to abdicate. In October 1815, Napoleon was exiled to the remote, British-held island of Saint Helena, in the South Atlantic Ocean. He died there on May 5, 1821, at age 51, most likely from stomach cancer. (During his time in power, Napoleon often posed for paintings with his hand in his vest, leading to some speculation after his death that he had been plagued by stomach pain for years.) 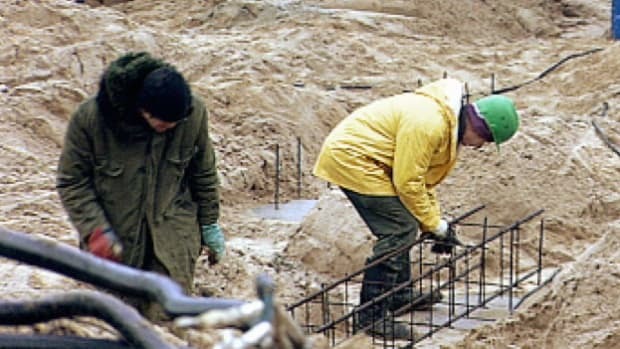 Napoleon was buried on the island despite his request to be laid to rest “on the banks of the Seine, among the French people I have loved so much.” In 1840, his remains were returned to France and entombed in a crypt at Les Invalides in Paris, where other French military leaders are interred.